On Wednesday of this week, the world lost several visionaries. Rev. Fred Shuttlesworth, a prominent civil rights activist, and Steve Jobs, co-founder of Apple, Inc. both died. But there was a third visionary whose light went out on Wednesday: Derrick Bell. 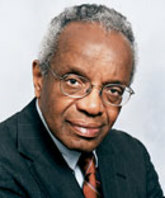 Bell was a visiting professor of law at New York University School of Law when he died. He is considered a pioneer of critical race theory, which theory examines issues of race, racism, and power in law and legal institutions. But while he had spent most of his life as an academic, his roots – and his defining experiences – were in civil rights. Bell graduated with an LL.B. from the University of Pittsburgh School of Law in 1957 and, after a short stint in the Civil Rights Division at the U.S. Justice Department, went to work for the NAACP Legal Defense Fund, working closely with Thurgood Marshall, who recruited him. According to Bell’s biography on TheHistoryMakers, while he was at the NAACP Legal Defense Fund, he oversaw more than 300 school desegregation cases. His experience with those desegregation cases factored significantly in his developing interest convergence theory, which he wrote about in law review articles as well as in the 2004 book Silent Covenants: Brown v. Board of Education and the Unfulfilled Hopes for Racial Reform. I read Silent Covenants last year. It is an amazing text that directly challenges the iconic U.S. Supreme Court decision in Brown v. Board of Education. While that decision seems to remain what Bell called “the Holy Grail of racial justice,” Bell found the decision to be less about racial equality and more about national security. Claims Bell, in the aftermath of World War II and rise of the Cold War, America found itself in a bit of what one might call a public relations bind. It billed itself as a world leader in democracy, yet at that time de facto if not de jure segregation prevailed across the country. African Americans who enlisted in the armed services to fight (in their segregated units) Hitler and fascism in the name of freedom and justice returned home to find that they still were not allowed to eat at the same lunch counters or stay in the same hotels or go to the same schools as the whites for whom they had risked their lives. This discrepancy did not go unnoticed by the Soviets, whom some feared would use America’s racial inequality to recruit members for the communist party. So when the NAACP brought the Brown case to the U.S. Supreme Court, the timing was right to make some changes in America’s racial policies. 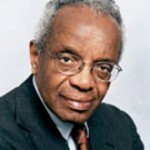 Said Bell in Silent Covenants, “Black rights are recognized and protected when and only so long as policymakers perceive that such advances will further interests that are their primary concern.” Thus Bell introduces his interest convergence covenants, events in history where black rights were recognized but the underlying reasons were not recognition of the rights for their own sake but recognition because such rights served broader interests. In his view, Brown should not have dismantled Plessy v. Ferguson as it did. In fact, Bell claims, the Court should have upheld Plessy and actually enforced the “equal” part of “separate but equal.” In this way, Bell believed most school districts would either be able to truly equalize their segregated schools or degregate on their own because they would not be able to afford to equalize. It was typical of Bell to find that race mattered in a whole host of ways in a whole host of situations. In fact, one of the criticisms levied against him was that he was often too quick to “play the race card.” But he probably isn’t wrong. Perhaps Bell saw racism everywhere because it is everywhere, although sometimes it manifests only in the most subtle of ways. Thank you, Professor Bell, for your contributions to legal theory. You will be missed. I agree that Derrick Bell was a person of great significance. I had encounters with him in Cambridge, Massachusetts both before and after his complicated tenure as dean of the University of Oregon Law School, and I found his views on race and law both challenging and informative. For the past several years I have used his book Silent Covenants in my undergraduate course on the Supreme Court and race. Students are invariably impressed by the passionate clarity of his views. Derrick Bell was a special legal academic. He not only spoke out in keeping with his demand for racial equality but also acted in ways that brought attention to his cause. Instead of accepting acclaim for being the Harvard Law School’s first tenured African American professor (and allowing the school to delight in its progressiveness), Bell resigned because of the school’s hiring policies. I was especially intrigued in the early 1990s when Bell, thinking of the predominantly African American urban underclass, argued that African Americans were worse off and more subjugated than at any time since slavery. Other prominent African American intellectuals such as Cornel West and William Julius Wilson made the same argument. The most offended were not conservatives, many of whom were eager to blame the urban poor for their own plight, but rather liberals, who took comfort in a vision of an ever-improving society. Twenty years later, the ghetto underclass has become a semi-permanent sector of the population with no apparent way to end its oppression.